The BA Musical Theatre programme offers a high level vocational education for exceptionally talented students who are dedicated to becoming skilled and innovative professional artists. Our graduates consistently gain industry representation and continue to work across the arts and entertainment sectors. 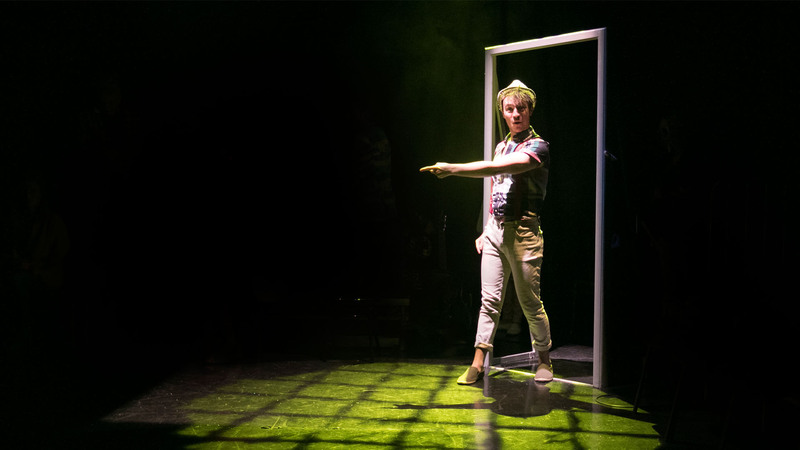 Graduates can currently be seen performing in the West End, on Broadway, in national and international tours, with national companies, regional theatres, and in a variety of television and film projects. teams on new work, contemporary material, and traditional repertoire from the established musical theatre canon. You will collaborate regularly with the rest of your cohort and students from across RCS through productions, Options modules, and a variety of student-led work. Each learning experience is designed to challenge, inspire, and prepare you for a sustainable career in the performing arts. new work. Our combination of excellence in teaching with a network of visiting artists and industry partners will provide you a unique balance of artistic rigour and professional engagement. This is a skills focused-year as you work to identify areas of development and train intensively towards excellence in acting, music, dance and voice. Underpinning this is a strong focus on self-understanding as you develop a practice of creativity through performance classes and practical workshops. You will also investigate the potential of cross-programme collaboration and broaden your knowledge of musical theatre history through practice-based research. This year bridges the skills work and creative practices of year one with a focus on skills synthesis. Skills classes are complemented with project-based work; musical theatre scene study and new writing projects. You will begin to engage with professional practice, developing industry awareness and considering your potential as an artist within that industry. Research, practical seminars and a range of visiting artists support you in broadening your perspective and developing your skills in a range of performance contexts. You will have the opportunity to choose modules of study specific to your interests, needs and artistic development. These are cross-conservatoire modules allowing meaningful collaboration with students from other artistic disciplines. The final year is designed to offer performance experiences reflective of industry standards. This year provides the bridge between training and the profession. Skills classes and seminars are focused on industry engagement including audition techniques, self-employed business management and professional practice activities. A season of fully-staged productions culminates in an actor-musician performance and industry showcases in Glasgow and London. Keep up to date with the Musical Theatre course on Twitter and Instagram. Through your studies at the Royal Conservatoire of Scotland you will receive support and guidance from varying staff, external specialists and industry professionals. The staff tutors and their team will manage your day-to-day skills base development while external directors and musical directors will work with you in performance classes and project work. Each student will also meet many visiting practitioners in order to support network opportunities and contacts with industry professionals. Classes take place across the two campuses of Royal Conservatoire of Scotland. During the programme students can expect to work in all four of our performance spaces – Athenaeum Theatre, Stevenson Concert Hall, Chandler Studio and Alexander Gibson Opera Studio. Core classes take place in our purpose built dance studios and drama/voice rooms at either Renfrew Street or The Wallace Studios at Speirs Locks. Research, reflective practice and professional practice subjects are taught in a fully equipped student IT suite and supported by a vast array of reference material, sheet music and CD/DVDs in our RCS library. The Wallace Studios have recently been developed to include 8 purpose built multi functional dance and rehearsal spaces and the programme will utilise these for all major productions – allowing a fully integrated professional rehearsal process with onsite production and technical team involvement. External venues used by the programme have included Oran Mor, Cottiers Theatre, Tron Theatre, The Arches and Scottish Youth Theatre. Students have successfully auditioned for and worked with Dundee Theatre, Macrobert Arts Centre and The Citizens Theatre as part of their student placement programmes. Third Year Season Credits: Dr Parker in Bat Boy: The Musical, Jules/Bob in Sunday in the Park with George and Theo in Pippin. 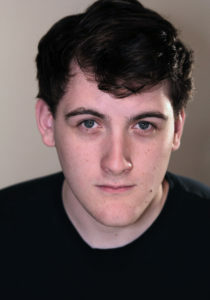 Theatre credits include: Glued: A New Musical (Royal Conservatoire of Scotland); Family Story Time (SYT Productions). Theatre workshops include: Nethergate (Royal Conservatoire of Scotland/ Dundee Repertory Theatre); The Snow Queen (Noisemaker/Dundee Repertory Theatre); Jason and the Argonauts (Kenny Wax Ltd/SYT Productions). Season Credits: ‘Sherriff Reynolds’ in Bat Boy: The Musical, ‘George’ in Sunday in the Park with George, and Ensemble in Pippin. Theatre Credits include: Nursery Crymes (Mischief La-Bas). Season Credits: Mayor Maggie in Bat Boy: The Musical, Yvonne/Niomi in Sunday in the Park with George, and Leading Player in Pippin. 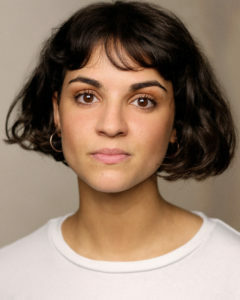 Theatre Credits include: Skunk and Homegrown (National Youth Theatre); Jungle Book (Royal Conservatoire of Scotland); Jimmy Mac and For Tonight (TheatreFest/Isle of Man Arts Council) and Night, Mother (Legion Players). Theatre Workshops: The Snow Queen (Noisemaker/Dundee Repertory Theatre); Nethergate (Royal Conservatoire of Scotland/Dundee Repertory Theatre) and Natasha, Pierre & The Great Comet of 1812 (Royal Conservatoire of Scotland). Film Credits: The Wife (Meta Film London Ltd). Season Credits: Shelley Parker in Bat Boy: The Musical, Fastrada in Pippin and Nurse/Harriet/Mrs in Sunday in the Park with George. 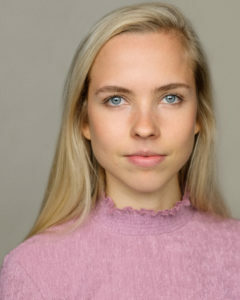 Grace previously completed a Foundation in Musical Theatre at Mountview Academy of Theatre Arts. Theatre Credits include: Angry Birds (Workshop, BEAM 2016/Curve, Leicester); The Snow Queen (Noisemaker/Dundee Repertory Theatre); Nethergate (Workshop, Royal Conservatoire of Scotland/Dundee Repertory Theatre). TV Credits: Carphone Warehouse (Advert); Writers (Web Series). Third Year Credits: Ron/Lorraine in Bat Boy: The Musical. Dot/Marie in Sunday in the Park with George. Ensemble in Pippin. Mia formerly trained as a Musical Theatre Major at the Los Angeles County High School for the Arts. 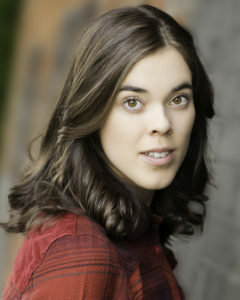 Theatre Credits include: Street Scene (Royal Conservatoire Of Scotland); Carmen High (Opera Posse/Edinburgh Festival Fringe); The 25th Annual Putnam County Spelling Bee and Joseph and the Amazing Technicolor Dreamcoat (LACHSA), and Carmen, A Little Night Music (Full Circle Opera Project). Theatre workshops: The Snow Queen (Noisemaker/Dundee Repertory Theatre); Nethergate (The Royal Conservatoire of Scotland/Dundee Repertory Theatre). Corporate Vocalist Credits include: The 65th Emmy® Awards Governors Ball (Sequoia Productions, Television Academy) G’DAY USA Gala (Sequoia Productions, G’DAY USA). Third year credits include: Shelley Parker in Bat Boy: The Musical, Celeste 2 / Elaine in Sunday in the Park with George, and Berthe in Pippin. 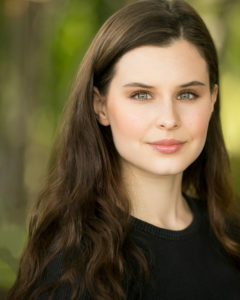 Mia received an award for Best Vocalist at Disney’s Music In the Parks, and was nominated for Best Actress In a Musical by the National Youth Arts Awards for her role in Joseph and the Amazing Technicolor Dreamcoat. Workshops: Catatonic Matt the Musical (Colour and Light Productions), Nethergate (The Royal Conservatoire of Scotland/Dundee Repertory Theatre) and The Snow Queen (Noisemaker/Dundee Repertory Theatre). Tom can be seen in the role of Charles in Pippin later this season. 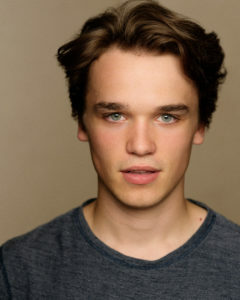 Harry Mills trained and gained Scholarships at both Tring Park school for the performing arts and the Royal Conservatoire of Scotland. 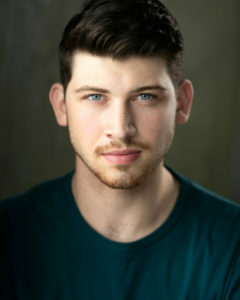 Theatre Credits include: Batboy: The Musical and Sunday in the Park with George (Royal Conservatoire of Scotland); Cabaret and Guys and Dolls (Tring Park); Grease (Bangkok Patana). Theatre workshops: Snow Queen (Noisemaker/Dundee Repertory Theatre). 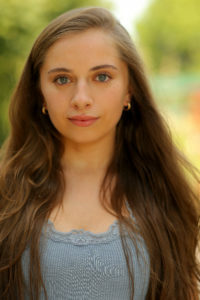 Anna-Mili is a recipient of the Andrew Lloyd Webber scholarship. Conall is a Scottish Singer/Songwriter with experience writing for theatre and short films. Theatre Credits: Bat Boy: The Musical, A Perfect Line and 11 Years (Royal Conservatoire of Scotland); Les Misérables (Captivate Theatre) and The Raven (GOTHeatre Productions). Theatre Workshops: The Snow Queen (Noisemaker/Dundee Repertory Theatre); Nethergate (Royal Conservatoire of Scotland/Dundee Rep Theatre) and A Fair Tale about a Fairy Trade (Human Rongs). 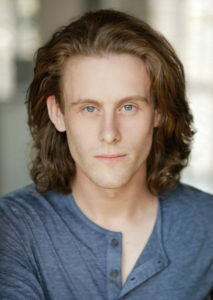 Conall is a skilled horse rider and is currently training in equestrian stunt-riding/vaulting with Riders of the Storm. Theatre Credits include: Bat Boy: The Musical and Jungle Book (Royal Conservatoire of Scotland) and Voice In A Million (O2 Arena, London). TV Credits include: BBC Scotland’s Children In Need (BBC Scotland). Duncan has secured a long-term Acting Contract beginning March 2019. 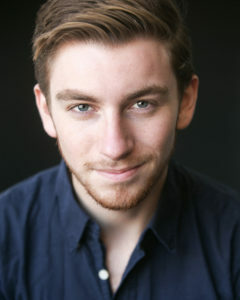 Samuel trained on the Musical Theatre course at The Dance School Of Scotland. 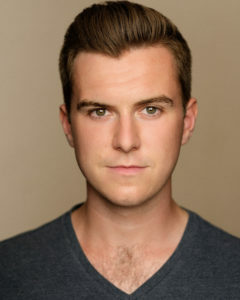 Theatre Credits include: Bat Boy: The Musical, Street Scene and Jungle Book (Royal Conservatoire of Scotland); Bernstein 100: Mass (Royal Scottish National Orchestra); Batboy: The Musical and Godspell (The Dance School Of Scotland). Theatre workshops: The Snow Queen (Noisemaker/Dundee Repertory Theatre). Theatre Credits include: Pippin, Sunday in the Park with George, Bat Boy: The Musical (Royal Conservatoire of Scotland); The Beautiful Game (The Other Palace), Sunday in the Park with George (The Other Palace), Spring Awakening (Curve, Leicester) and Pendragon (Theatre Royal, Bury St Edmunds) all National Youth Music Theatre. Concerts include: Platform – A Showcase of New Musical Theatre Writing (The Other Palace, Studio); Encore: 40 Years of the National Youth Music Theatre (Adelphi Theatre); GDST Young Musician of the Year, Classical Vocalist Category Winner (St John’s Smith Square). Film credits include: Threnody (Royal Conservatoire of Scotland, short). Whilst training Hannah was the winner of The Duncan Macrae Scots Speaking Competition in 2017. 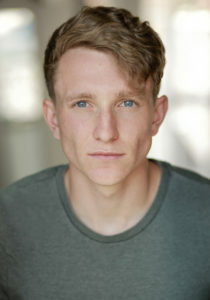 Theatre credits include: Bat Boy: The Musical , Sunday in the Park with George, Pippin (Royal Conservatoire of Scotland); Good Kids (CSU San Marcos). Theatre workshops include: Nethergate (Royal Conservatoire of Scotland/Dundee Repertory Theatre); The Snow Queen (Noisemaker/Dundee Repertory Theatre). Alyson was awarded Best Featured Actress in a Musical by the National Youth Arts Awards for her portrayal of ‘Trix’ in The Drowsy Chaperone. 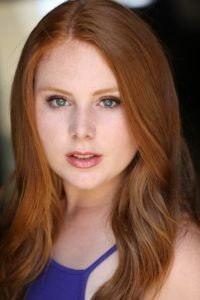 Season credits: Meredith Parker in Bat Boy: The Musical, Celeste 1/Waitress in Sunday in the Park with George, and Catherine in Pippin. 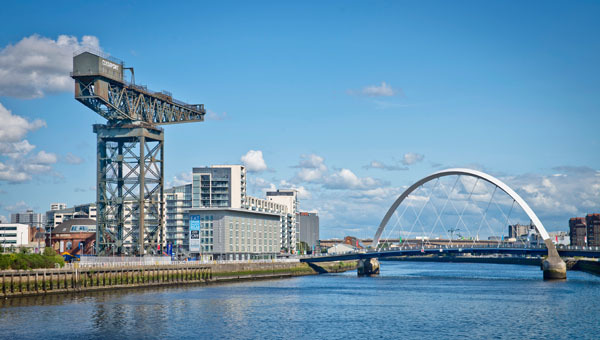 Graduates are working in London’s West End, regional theatres, film and television productions and with major companies including the National Theatre of Scotland, Citizens Theatre, Dundee Rep and the BBC. Following showcase, the majority of our students are signed immediately by agents from the UK and overseas. You may have seen our recent graduates perform in: Avenue Q (national tour), War Horse (national tour), 39 Steps (West End), Once (West End), Aladdin (West End), Blood Brothers (national tour), Wicked (West End), Spiderman (Broadway) and Let the Right One In (New York), Sister Act (national tour), The James Plays (international tour). “I began my training in 2009 as part of the first intake of students on the BA Musical Theatre programme. As a student, RCS provides exceptional training, resources and guidance but, above that, it grants opportunity and freedom to forge a path of your own when you come to graduate. It’s this factor that made my training so integral to the career I have today. Since leaving RCS, I have worked as an actor across the UK with companies such as National Theatre of Scotland, The Roundhouse, The Royal Lyceum, Oran Mor, Splendid Productions and Chichester Festival Theatre. In my final year, I began writing with composer Claire McKenzie. Our first piece, FreakShow, was developed through RCS and The Arches and went on to win the Scottish Daily Mail Drama Award 2013. Claire and I formed new writing company, Noisemaker, and have continued to create our own work, including Forest Boy (winner of the S&S Award for Best New Musical). As a student, I was allowed to develop as an actor, and as a writer, and now that is what I do. 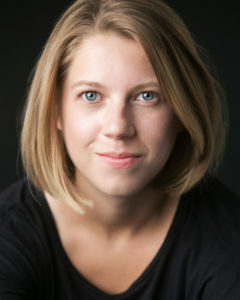 “I trained at RCS from 2009-2012 and was privileged to be part of the first BA Musical Theatre programme. I chose RCS as my place of study because of the passion of the tutors, the time and energy that was given to each of us as individuals and the encouragement given to create, discover and enhance our full self as performers and actors. Since my graduation my work includes: Touring Britain, America and Asia with the National Theatre of Scotland’s Black Watch; various workshops with National Theatre Scotland; Oran Mor’s Play pie and a Pint; and The Macrobert Theatre company. RCS provides students with a safe, constructive and encouraging environment. Which enabled me to work on the attributes I already had and encouraged me to discover and play with new ideas and ways of working. Then apply these new skills to my work, in order to build a set which served me in great stead moving into the professional world. “My story with RCS began in 2009 where myself and thirteen others, were part of the first cohort of the new BA Musical Theatre program. RCS provides some of the best training you can find world-wide, its resources and lecturers are at the top of their game and as a young professional it is a flawless sanctuary to prepare you for the outside world in whatever path you choose. You are taught to hone your skills in a beautiful city whilst having the freedom and explore on your own, becoming whatever you want to be during your program. All this has been fundamental in getting me where I am today. Since leaving I have worked as both as an actor and a singer working with companies such as the National Theatre of Scotland and Sonia Friedman Productions working in venues varying from Stirling Castle to The Harold Pinter Theatre in London. I was fortunate enough to perform with Rod Stewart featuring Michael Bublé at his Christmas Show in 2012, months after graduating. I had been fortunate on acquiring representation from a well established and influential agent and so meetings on exciting projects were common. In July 2013 I acquired my first professional job and West End debut in the Harold Pinter Theatre; a revival of Jez Butterworth’s hugely acclaimed and first piece Mojo in a cast that no recent graduate should be allowed to say they have worked with. Working with a director like Ian Rickson and a cast with Rupert Grint, Ben Whishaw and Colin Morgan (also an RCS graduate), my training in everything from professional etiquette to how a rehearsal space is run would have been significantly harder to achieve had it not been for my time at RCS. It allowed me to develop my skills as an actor with the added benefit of singing and dance which is essentially what I do in my professional life now. The support throughout my last couple of years was priceless. RCS is like no other place you will study at, and you will be treated like the young professional you deserve to be. You will make life-long friends and keep artistic contacts long after you graduate. Students from outside the EU typically fund higher education by a variety of resources, depending on the home country. More specific information on funding options relevant to specific countries can be found here . The language of study is English. Applicants who first language is not English will be required to provide evidence of proficiency in English. We accept the International English Language Testing System (IELTS). Level 7.5 (with a score of 7.5 in speaking) is required. The audition process is separated into four sections designed to explore skills in acting, singing, dance and musicality. Importance is weighted equally in these four areas and we will be looking for a strong ability in three and trainable potential in all four, although it should be noted that the panel will look for evidence of emotional connection and clarity of expression in all four disciplines. Full information on what to expect for auditions is found below. We also offer musical theatre audition preparation courses through our Centre for Lifelong Learning. Currently available is our Musical Theatre Audition Preparation Summer School. There will also be courses available in the autumn of 2019, please sign up here to find out more when the programme is released. You should prepare three songs for your audition. These should show vocal range and the awareness and ability to use contrasting stylistic features common to Musical Theatre repertoire. The range should include three songs, one of which is not from a musical (this may be pop, rock, blues, gospel, jazz, folk, etc). Music should be prepared clearly for the pianist and should be in the correct key. If the song is longer than three minutes, please have a cut ready. No recorded backing will be permitted and you may not accompany yourself for this element of the audition. It is unlikely that the panel will listen to all three complete songs – we will hear what we need to get an overall impression of range, technique and potential. You should prepare one Shakespeare monologue and one contemporary monologue to contrast, of no longer than two minutes in length. Please prepare and learn these carefully and have an understanding of the entire play, not just your monologue, as the panel may ask you to talk about your choices. You should bring an instrument to the audition (this cannot be voice). * If do you play an instrument please prepare a short piece or section of music (no more than two mins) demonstrating your musicality. If you do not play an instrument please be prepared to talk about any experiences you have had with music and how this influences your choices as an actor, singer and dancer. You will only be asked to perform this if you reach recall stage. For this programme, please note the panel are also looking for elements of potential in musicality and so if you do not currently play an instrument we would encourage work towards demonstrating any connection with music at your audition. E.g. you could learn a basic melody/chord sequence on piano or guitar. *A piano will be available however all other instruments must be brought by the applicant. In the first audition, you will be asked to take a group dance call where you will be taught a short routine and be asked to repeat this in smaller groups. Following the dance call, you will have a time allocated individual audition where you will be asked to perform one song and one monologue from your list of prepared pieces for the panel of two staff or professional theatre practitioners. At the end of the morning session, a first recall list will be drawn up as you are given a brief tour of the building. If you are unsuccessful at this stage it may be, for instance, that the panel considers that you need to gain more performance experience. The first recall begins after lunch. Those who reach this stage will be asked to perform extended sections from your list of prepared material before the main panel which will consist of members of the core faculty. At this stage it is likely that the panel will do some work with you on one of your pieces. Please bring an instrument as you will be asked to play it at this stage (see notes on Music above). There will be a short interview with the panel. Do not try to give the replies you think are wanted, or that will impress, just be yourself and answer honestly. The recall will take a maximum of 15 minutes. The session is followed by a group question and answer section with the Chair of the Audition Panel. Following your audition, you will then be advised if you have reached the final workshop recall audition stage by email and be given details of when this will be. Applicants who proceed past the first recall stage will be invited to attend a workshop recall audition. This will be a full day audition and will involve sessions led by faculty staff in areas including, acting games and exercises, dance combinations, singing, devising and improvisation. The workshop audition will be filmed. You will need to create an account, but then you can easily upload the recordings you wish to be considered. Recordings will not be considered until a UCAS Conservatoires application has been submitted. Once you have completed the UCAS Conservatoires application, you should proceed to Acceptd to submit your video recording. We will only accept recordings submitted via Acceptd and will not accept any other format, i.e. DVDs. Recordings should arrive by the 15 January 2019 (EU applicants) and 31 March 2019 (International – non EU). If you are applying by video recording please clearly chapter it for each section and include a personal statement at the beginning (straight to camera). This should include a brief overview of your background and why you are interested in studying at the Royal Conservatoire of Scotland. Audition recordings are submitted online using Acceptd. Please film yourself performing a short dance piece (one–three minutes) which may be jazz, ballet or contemporary based. This can be self-choreographed or by a teacher. This should demonstrate turns, jumps and floor work. Please film yourself singing three songs accompanied by a pianist. These should show vocal range and the awareness and ability to use contrasting stylistic features common to Musical Theatre repertoire. The range should include three songs, one of which is not from a musical (this may be pop, rock, blues, gospel, jazz, folk etc). one contemporary monologue to contrast. Both should be no longer than two minutes in length. Please prepare a short piece or section of music (no more than 2 mins) demonstrating your musicality. If you do not play an instrument please be prepared to talk about any experiences you have had with music and how this influences your choices as an actor, singer and dance. The references must be written by two different people and we will not accept references from family, other relatives or close friends. You can submit your UCAS Conservatoires application form and send your references at a later date, but they must be received prior to your audition date. BA Musical Theatre auditions will take place from January to May. The audition process is separated into four sections designed to explore skills in acting, singing, dance and musicality. Importance is weighted equally in these four areas and we will be looking for a strong ability in three and trainable potential in all four, although it should be noted that the panel will look for evidence of emotional connection and clarity of expression in all four disciplines.